How many people in Ardmore don’t already have a gun? 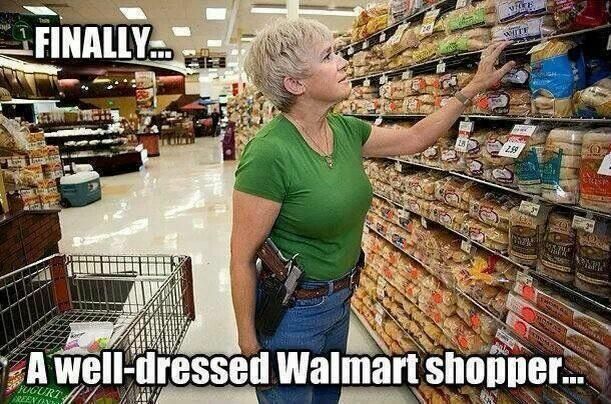 After all, we’ve heard in Texas how Oklahoma is the land of open carry, where moms shop in superstores with holstered pistols on their hips. Maybe that helps with the parking problem. But if the High Sheriff of Ardmore is right, those moms need to lock and load and be ready to fight our enemies, some of whom may try to fool us with a diabolical ruse, such as actually knowing how to spell amendment. Alarmist and poor speller that he is, Anthony didn’t go nearly as far as an elected county constable right here in nearby Midlothian. Unlike the Oklahoma sheriff, Jones didn’t bother to suggest getting a license. He did not cite the Bible verse that gives us all unlimited guns. Jones had already been in the news for a Facebook post referring to Islamic State militants with the racial slur “rock monkeys,” which is not to be confused with the rock music Monkees. Ellis County Judge Carol Bush had asked county officials to review Jones’ use of county property, including trademarks, insignias and equipment, in his personal and political social media posts. Last week, with several busloads of children and teenagers headed to an Ellis County church camp as federal immigration detainees, the constable was on Facebook again. I’m not so worried about licensed handgun permittees under the law. But I do worry when officers make up their own laws.